New year, new Goodreads goal, am I right? Fun fact: I've failed to reach my Goodreads challenge goal every single year. I go through phases where I read lots and then months where I barely pick up a book at all. Consistency is an issue for me, in all areas of life. So far, though, 2019 has been off to a good start. I've set my sights low this year. 52 books. But here's the thing - I'm reading a lot on Wattpad lately. While some of those books are available to check off on Goodreads, not many are. So I'm using IG stories to track the real amount, and just adding everything I possibly can to Goodreads. (It's a lot of effort though, so let's see how long it lasts before I forget to update everything). Either way, I've really been enjoying some of the stories I've discovered so far and I'll definitely be making this recent reads a regular (not necessarily monthly) thing. It's no secret that I love zombie related literature and TV shows (still got my fingers crossed for a Walking Dead/Z Nation cross over one day) so when I saw this I had to read it. Eve is a vegan zombie with coherent thoughts and can actually talk, at least to other zombies. I love it someone takes such a unique perspective on zombies to give it a new lease of life. Not only was the concept of this book brilliant, but the execution was too. It was really funny and unexpected and I finish it in one sitting. 100% recommend you checking it out. Another one for the Z pile. 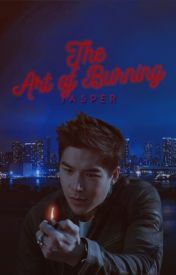 This one I read on Wattpad too, but I believe you can buy it on Amazon, probably, and it's definitely available to add to your shelf on Goodreads! 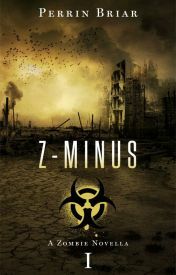 Z-Minus is the first book in the series, so I'll definitely be looking to read the rest of the series sometime this year. An alcoholic dad doesn't realise it's the zombie apocalypse till he comes home (quite probably still drunk) and has a close encounter. Thinking he only has, like, eight hours or something to live, he figures he's gonna make the most of those eight hours. It does not go the way he planned. Again, the writing is really funny and I just really enjoyed the story. 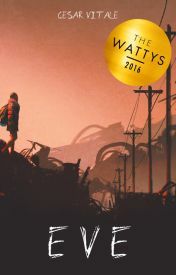 Definitely give it a read if zombie fiction is your kinda thing. Unfortunately this story is still being published, so I haven't technically read the whole thing yet but what I have, I've loved. 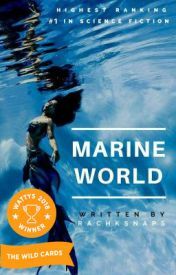 A twist on mermaids with theme parks and dark secrets, how could I resist? I rarely add any stories to my library to keep reading if they're not finished, but this one I have to know how it ends. I'm so excited to see where the rest of the story goes! For non ficiton, I pretty much exclusively read books on writing and editing. Especially as my bestie and I have started publishing our book on Wattpad, and we're doing lots of editing for that, plus my own work, I'm finding that I love to learn more about fixing stories. Nothing is more satisfying to me than to see a sheet marked up with a red pen, so new ways to find things wrong with the manuscript? Sign me up. I'm still reading this one, taking it slow, but it encourages you to constantly grade your manuscript and work on an element at a time. I have to say, if you're looking for ways to improve your writing, I'd definitely give this a shot. Larry keeps it real. Another ongoing story, but again, one I felt worthy of adding to my library to keep track off. Featuring off the rails boys, public and boarding school libraries, pranks, the need for secretive relationships, etc... I couldn't not read it. Kinda reminds me of The Foxhole Court but without any exy and the Japanese mafia. It disappoints me to learn not EVERY book can have exy and the Japanese mafia featured in them. So, basically, this mini review is a two for one. 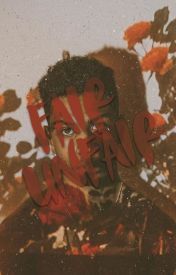 Read Fair/Unfair and read The Foxhole Court. Both will ruin your life, probably. This is actually a sequel to the incredble 'The Domino Effect' so I have to recommend you read that first. As soon as the author told me to expect a sequel (and sent me the last chapter for beta-ing, eep!) I was so excited to read this and I've finally, finally got around to it. The Domino Effect is definitely my favourite but I still enjoyed this one. I felt like the focus was slightly on some different characters which is maybe what made me enjoy it less. I just get really attatched to fictional people! None the less, worth the read, especially for dysotopian, time travel fans. And that's it so far! 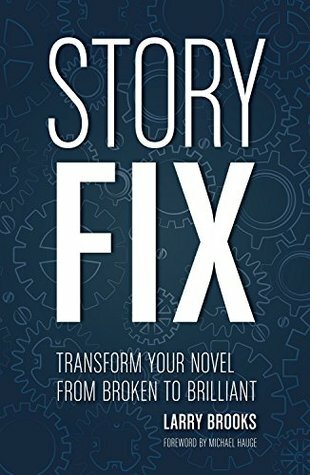 I've told myself I'm not allowed to buy another book till I've finished Story Fix, despite one of my favourite authors releasing a new title on the 7th this month, but I may have to let it slide since I'm using Story Fix a lot while editing and don't want to rush through it. Let me know any books you've been loving lately, because my reading list is never long enough, and let's be friends on Goodreads.